Choosing the right vacation can often be tricky, and it’s impossible to know whether you’re going to like it. Or is it? You see, the big mistake a lot of people make is that they don’t choose the right vacation to suit their personality or what they are like as a person. As a result, they often wind up not enjoying themselves. So, it’s important to understand how your personality can dictate your experiences. Apparently, only 3% of the population have this personality type, so if you do, you’re in the minority. INTP people are creative, inventive, and unique, and they would likely be best suited to a traveling or road trip experience. Something that allows them to get creative and flex their brain muscles by experiencing new cultures and ideas. A road trip vacation with little planning would be ideal for any INTP. The Commander is strong willed and always looking to be the leader. If you fall into this personality type, you will likely be driven and follow your goals and achieve ambitions. This means you will most likely be looking for a vacation that allows you to be proactive, and possibly do what you do best, lead. Vacations with friends where you get to book lots of sightseeing and tourist hotspots would probably be ideal. 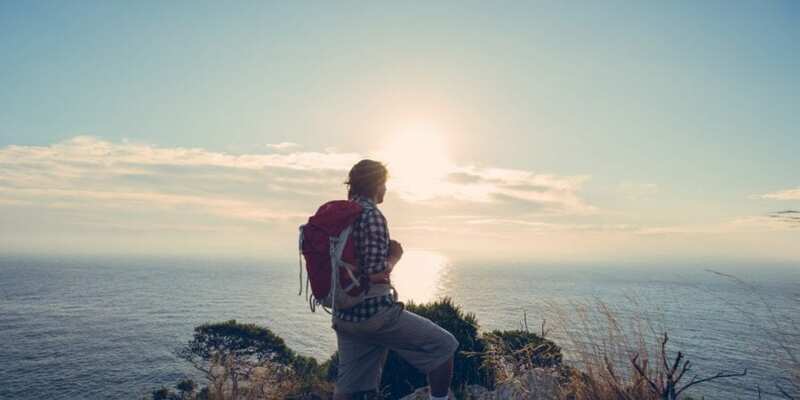 Someone with ESTP personality is likely to be something of an adventurer. With that entrepreneur’s heart, these people will always be looking to leave a lasting impression. ESTPs love to be the center of attention, so a vacation with other people of a certain age would be ideal. Group trips are always preferable, so they can entertain and impress. Look to them to suggest everyone goes bungee jumping or skydiving. ESFP is the entertainer. These people are always looking to have a good time. They live in the moment and focus purely on the here and now. Spontaneity is their Bible, and you can always expect them to head to the airport with no planning and buy a ticket for the next available flight. Expect them to pack minimally, know nothing about where they’re headed, and engage in a holiday romance. If you have an ISFP personality, you will be something of a free spirit. You’re an adventurer with a thirst for new experiences and a dose of ESTP. The sorts of people in this category consider themselves cultured and hate being labeled. They are the sort who may go on holiday with friends, but you’ll lose them the first night, and they won’t rejoin the group until the end of the vacation. Bold and practical, ISTPs are not the sort to shy away from a challenge. You might be ISTP yourself, if not, you certainly know someone who is. These are the sorts of people who seem to be good at everything. But they also enjoy more hands-on experiences, and this dictates their choices. Their ideal vacation would be a camping trip in the woods where they have to fend for themselves. Bliss.